Free, open-ended license that provides many security features, including RSA encryption of your personal files. You can sign and encrypt attachment files in an email to keep them safe on memory stick PTP (Person To Person) allows you to make your email secure with AutoCrypt (TM) mode. The recipient does not need any software or digital certificates to decrypt the file. This feature is unique to PTP and ensures that you can send files securely without worrying about whether the recipient has the software and the right to read them. No other system provides such simple messaging security. 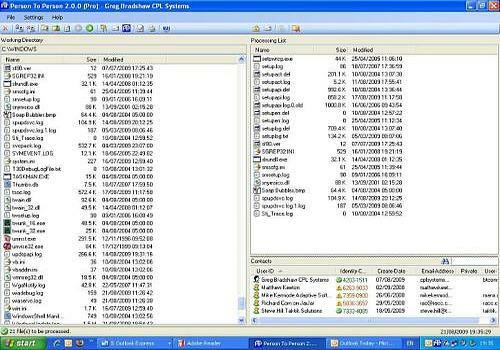 Thanks to this very small program, you can easily encrypt and decrypt very small as well as huge files.